We are the result of people’s daily contribution to make this project a reality. The core of our success begins and ends in our team. Our family has always worked and keeps on working side by side with our associates, since the first “dig” to the creation of strategies. We want to pay tribute to everone who followed us since the beginning in 1839, by thanking them to have pursued this dream with our family! These are the faces behind our work. In organizational terms, his function is CEO but this classification has not yet been adopted by Torre do Frade. Fernando Carpinteiro Albino graduated in Law but everyone in the agricultural frame calls him Eng., due to his extensive knowledge of technical methods in various areas and in general Agriculture. A true helmsman and an example of leadership to the entire group – from the administration board to the field associates – he is tenacious and has a strong charisma. He also held executive functions in the Portuguese Association of Farmers (CAP) and in the Portuguese Association of Cereals. Currently, he is the Chairman of Carnalentejana» since its foundation, a member of the executive board of CAP and the Business Association of Elvas, Chairman of the Portuguese Group of High Quality Cereals, Director of the producers group Procereais, as well as Chairman of the General Assembly of Aposol and Anprobe. Besides agriculture his great passions are cars and the pleasure of driving because he always competed in mythical endurance tests at the old stadium José de Alvalade, then participated in rallys and later in the off-road competitions. Presently, he still attends the circuit of classic cars to see old friends and speeding pals. Fernandos brother, Zé Carpinteiro Albino was the national Rally champion and actually won the first TAP Rally in 1964. In the photo you can find Fernando and Zé sitting on the beautiful Renault Gordini R8. Eng. Bagulho, know as such, is the only male descendant of the original lineage of inheritors. He is the oldest of four sisters, who as a child had a serious asthma condition that prevented him to be on the estate of Torre do Frade till his teenage years. Only after his fourteenth birthday did he start living an almost “normal” life. Later, he moved to Lisbon to study Agricultural Engineering at the Higher Institute of Agronomy and even started playing Rugby in College, since he did not suffer anymore from his previous condition. After graduation, he committed to the study of plants – namely cereals – and taught for a long time at the University of Évora. He was also director of the Centre for Plant Development of Elvas for some time. At Torre do Frade, he always assumed the role of technical advisor in the Cereal Business Department. Note – Sadly Carlos left us in December of 2016 he is surely in a better place looking for us and smiling with his own style. RIP to one of the founders of this Family office. At this point their branch is controlled by Teresa (Wife) and two children, Catarina and Duarte. 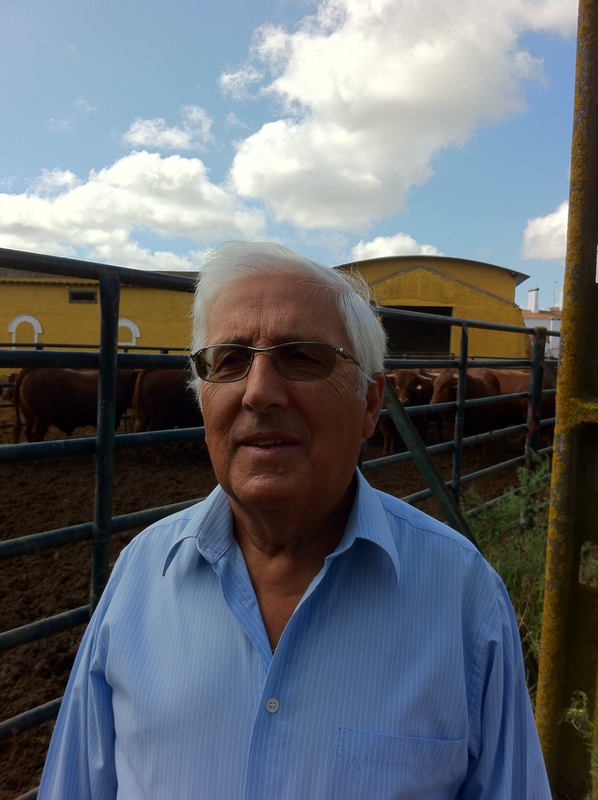 Carlos Vasconcelos is responsible for the bureaucratic organization of documentation related with the Cattle Business.There is a funny but scary story of Carlos Vasconcelos at the Estate. It happened in August 1981 when there was a sick bull that needed three injections, according to the veterinaries. The responsible on duty was Carlos Vasconcelos and one of our employees, “Zé da Boia”. Both of them succeeded in giving the first two injections but, after the third, the animal got out of control and ran away by jumping the fence. Zé went after it to the stream with a tractor and Carlos Vasconcelos followed in a white Peugeot 404 pick-up. Normally, the animals of alentejan breed do not attack until they are trapped or with a high level of distress. But this bull was deranged and in a frenzy, running in a wide open field towards the tractor to destroy Zé. Luckily, Zé managed to escape, helped by Carlos Vasconcelos who called the animal while waving a few meters away from the pick-up. At that moment, luck ran out for Carlos. The bull responded very quickly and caught him in the middle of his run towards the truck, attacking and stepping on Carlos till he was able to hide under the pick-up, which also “payed the price” for the bull’s wrath. End of the story: a smashed knee for Carlos Vasconcelos, an awful scare for Zé and a Peugeot pick-up for the junkyard. This was the ending of a hot summer day. Teresa Vasconcelos is our administrator who manages the business between our organization and all our partners. Teresa V. is married to Carlos V. and always played at our property since childhood because she belonged to the original family who managed the Estate. Having a vivacious spirit, she also has a story to tell that marked the recent history of Torre do Frade – which contributed to the present lack of horses on the property. On the 4th of February, when she was about 18 years old, Teresa left the house early to ride the horse of uncle António Zé, called Chocolate. At that time, hare hunting was done with horses and Chocolate was a specialist in that area. So one day, Teresa and Chocolate were riding along the threshing-floor when suddenly the horse started galloping like crazy (probably scared at something) and Teresa screamed for help but the more she screamed, the more he galloped. At the end of the woods, she couldn’t help falling down and ended up by breaking a leg and and hitting her head on a stone, lying inanimately on the floor. It wasn’t more than a frightening story and a broken leg but the manager of the estate back then, aunt Maria Teresa de Matos Cortes Zuzarte, ordered the sell of all horses and so they vanished from Torre do Frade. Ana Sofia is the youngest daughter of Eng. Bagulho who, since a young age, followed the footsteps of her father in scientific research. As a child, she always carried around her mobile laboratory, microscope, scalpel, coverslips, distilled water, tweezers and other scientific “gadgets” that were kept religiously inside her “make-believe” white doctor suitcase. With these instruments of scientific research, she analysed every plant or insect that crossed her path. She then graduated in Chemical Engineering and followed her father’s passion, in the research of quality Wheat seedings. Since 2007, she has been working as a quality consultant in the Cereal business area. A member of the family’s new generation , he is the oldest son of Mª Luísa Cortes Bagulho Albino and Fernando Carpinteiro Albino. He graduated in Law by Universidade Católica in Lisbon and did a post-graduation in Wine Industry at the Higher Shool of Agronomy. Bernardo also became an expert on cereal production and Agricultural Law, assuming the current roles of non-executive Director of the Portuguese Confederation of Farmers, President of the National Association of Oilseeds and Cereal Producers and Director of Procereais. Currently, he collaborates in managing the agicultural exploitation, namely in the cereal and vineyard areas. In the latter, he is the main responsible person, advised by Eng. João Torres. The nickname “Salazar” was created in the summer of 1997, when Bernardo returned from Erasmus in Trento (Italy) and participated in the hay bale harvesting with a very strict attitude towards the team, who had already been working together for several days. After one or two days, he excused his posture before everyone but it was too late and the nickname remained till today. Historical Note -António de Oliveira “Salazar” was the portuguese dictator that ruled the country as President of the Council of Ministers from 1932 until 1968. Also a member of the family’s new generation, Gonçalo is the second son of Luísa Albino and Fernando Albino. He studied Veterinary in Lisbon and soon began working in the Livestock business area, providing support in animal control. Nowadays, he performs the role of Business Manager in Carnalentejana. Gonçalo has always been the cheerful one who gets everybody laughing with his great jokes. He duly followed the steps of his brother and older cousins, being as mischevious as a child. Not having anyone his age, he always blended in with the older ones and mentored the youngsters in games. There are lots of fabulous images of Gonçalo’s childhood at the Estate, for example of his yellow bike with no breaks or of riding the bike next to it, among others. Once, Gonçalo and Bernardo were so excited with the upcoming release of Superman that they decided to hang Diogo out of the balcony with a rope around his waste, leaving him balancing upside down and screaming two meters away from the floor while they excitedly shouted for Superman. But this is just one of many stories so, when you have the chance, you can ask Gonçalo directly for the adventures at Torre do Frade. A member of the new generation, Duarte is the youngest son of Teresa Bagulho and Carlos Vasconcelos. He graduated in Zootechnics in Évora and he is unofficialy linked to the Estate through the Livestock business area – Cattle, helping in all related procedures. Acting as a field technician in Carnalentejana, he is responsible for controlling the production process and assisting the field associates. Duarte had a miraculous event in his life that fortunately saved his left eye. It happened on a routine operation of overseeing the cows of family Pereira near the Estate, in Vimieiro, Estremoz. The cows were inside the fence and they were drawing blood samples but someone had to check the number of one of the cows and place an ear tag that was missing.So Duarte raised the fence and placed himself over the cow but, when he was trying to place the missing ear, the cow turned its head around and the left horn hit Duarte in the eye, tearing the eyelid muscles but miraculously not touching the lobe. That is why now Duarte has the left eye a little bit more closed than the right one. Surely, it was a divine intervention that made the horn miss the lobe for 1 mm and only hit the eyelid. Thank God! Diogo is the youngest son of Mª Luisa Cortes Bagulho and Fernando Carpinteiro Albino. A graduate in Business Communication in Lisbon, he is now linked to the partnership through the Wine business area and acts as a Brand Manager of our family wine, Torre do Frade. His role begins in the harvest next to the ladies picking up the grapes, carrying boxes and so on but also involves the management of material and finally ends with the design and implementation of the marketing strategy. Diogo and Duarte are one year and a half apart and have always been the mischevious masters at the estate. The adventures didn’t spare rooftops, cereal bags, walls, windows, trees and everything that came to mind. In fact, it’s a story with endless events at Tom Sawyer’s best. But games apart, they also helped at Torre do Frade whenever it was needed. For example, when Diogo was 12 and Duarte 13 they were both asked to work during Easter vacations. The task involved watering young Cork-Oaks that had been planted the previous Autumn and were dying due to a severe drought. And therefore, it was during the 1995 second week of Easter vacations that Diogo and Duarte watered 200 Ha of Oak-Corks and saved money to buy their playstation 1 and the game FIFA 95. It could be said that “as the twig is bent, so grows the tree”! Luís Miguel is our cousin and son of aunt Maria Adriana Bagulho and uncle Carlos Silva, a different branch of the family responsible for the separate exploitation of Torre do Curvo. Gué-Gué is our senior advisor when it comes to cattle veterinary, namely the cows. He has earned the nickname Gué-Gué in the family because he is the oldest grandchild and all the younger ones called him that since the beginning. Luís Miguel played Rugby for many years with the Agronomy team, while studying Veterinary in Lisbon. In this area, his nom de guerre is Bagulho. Eng. 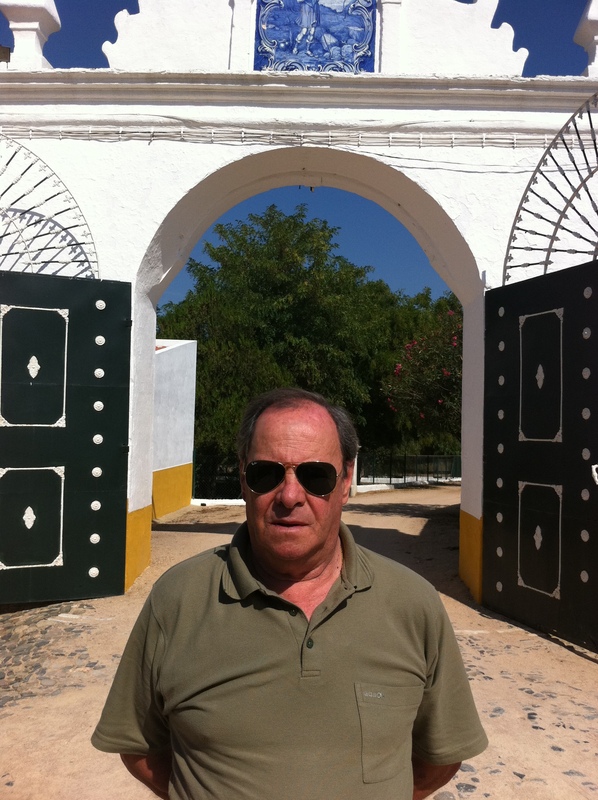 Paulo is our consultant for the Wine business area, particularly for the winemaking. He is an exceptional professional in adjusting the producer’s vision to the true capacity of the terroir. He is one of the godfathers of this viticultural project, constantly present since the first step. Eng. João is a viticulture guru. He helped us in planting the vineyard and deciding its direction. Currently, the Eng. has assumed the position of senior consultant, assisting Bernardo in making decisions that regard the vine logistics. These are put into practice by the field team composed by Celestino, Clara, Fernanda and Odete. Clara is responsible for arranging teams to perform various tasks that must be performed in the vineyard. She started working with us in the first 2001 harvest, where she immediately captured Celestino’s attention, who was responsible for monitoring the ladies in all vine procedures. What happened is that they completely fell in love with each other and even conceived the first fruit of their loins. Clara and Celestino’s daughter was born in 2005 and it all started in our vineyard. Odete is Celestino’s sister-in-law and she is one of the most active workers in the vine. She has also been with us since the very beginning. Odete has a characteristic that makes her delightful to whomever is around her which is chatting, chatting and more chatting. I was deeply perplexed last harvest (2009/2010) when she started talking about tattoos, making us all realise that the majority of women in Sto. Aleixo have them. Villages are not what they used to be anymore, just imagine that the latest conversations in the ranch were: tattoos, facebook and laser hair removal. Fernanda is almost the opposite of Odete, serious and very quiet, she only thinks about working and doing her job right. She is the kind of person that always helps without having to talk. Just like Odete and Fernanda, she is Celestino’s sister-in-law and also a part of the main group of vine ladies. These are the three main ladies and the others are hired depending on the task and time to perform it. Maria João is Odete’s sister who, along with the remaining four ladies, became a full-time employee in 2011 after working in many of our harvests. She is the Brave Mother because when she was four months pregnant, she ran away from a dangerous relationship without looking back or making demands. Her child was born healthy in 2009 and both of them are happy. Due to this experience, Maria João says she no longer cares for men in her life since she has a daughter to take care of. Meanwhile, the tattoo ‘fever’ that happened in Santo Aleixo caught Maria João in the middle, making her tattoo the child’s name on her foot. What a woman!! Bárbara has worked in the Torre do Frade harvests since 2006. Since 2011, she is working with us on a full-time basis. However, from the group of five ladies that became full-time workers in the past year, she is the most experienced one in terms of age. She is also very hard to please, always having something to say about a task or a last minute procedure that must be carried out. In 2011, Bárbara performed an extra service related to the VIRGO wine that was subject to bonus, so she immediately said if she won it, her reward would be some brand new gel nails.